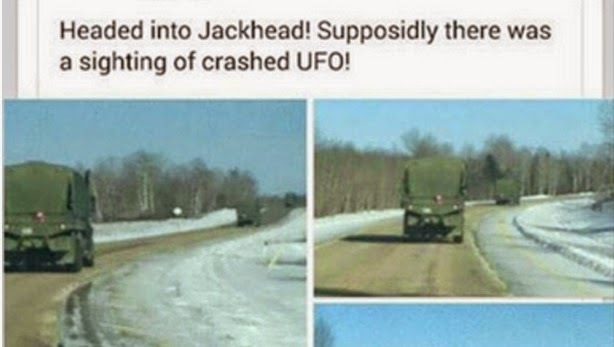 The Jackhead “UFO Crash” story is much more interesting than first believed. Oh, it’s still a hoax, but it may now be easier to pinpoint who the hoaxer is. 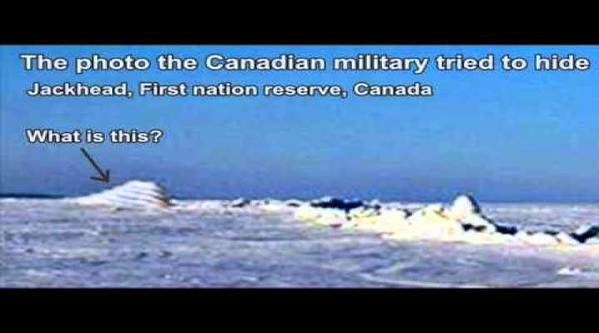 As well, new details have emerged as to what happened on the night of February 18, 2015, near Jackhead First Nations, and why there were military vehicles there. 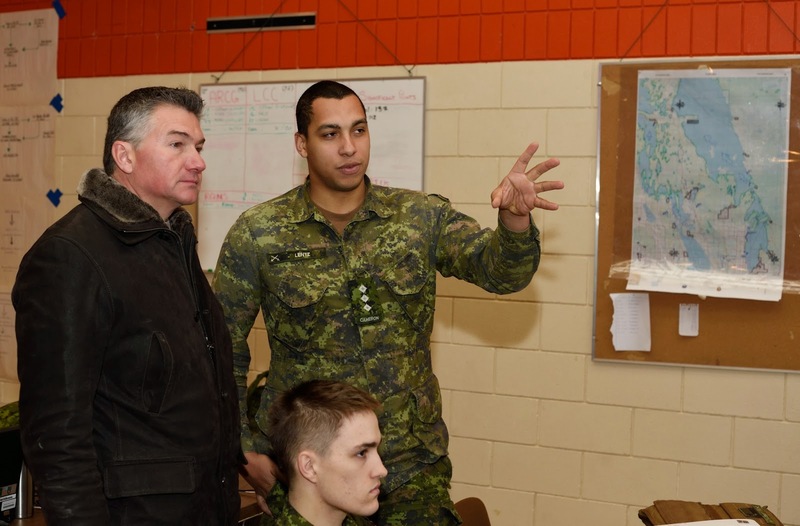 As I mentioned in my previous post, I have spoken a few times with officials on Jackhead First Nation, who not only denied there was anything to the rumours about evacuations, crashes and military crackdown, they even laughed at the silliness of the story. Yesterday, I reached out to another logical source for information: the military itself. 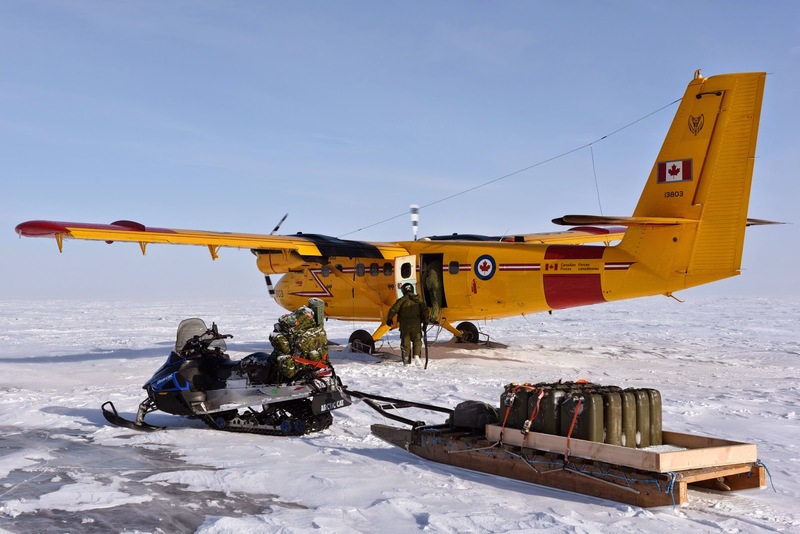 I had access to the news release about the military exercise called Arctic Bison 2015, so the details of what had been planned were well known. It was easy to see that a military operation over and on the lake could generate some UFO stories, so that seemed to explain the actual UFO sightings (or alleged UFO sightings, since no reports have been filed by any witnesses; all we have are second-hand stories that some lights and/or a craft was seen). But what happened that night turned out to be exactly the Search and Rescue mission the military was training for! Yes, that’s right, we have a photo of the plane. Because the military has a Flickr account. Why? And yes, not only do they have a Flickr account, they’re also on Facebook and they even invited a TV news camera crew to be embedded during the training exercises. Not your usual cover-up and lockdown technique. However, what happened at Jackhead? Well, it turns out that, as I had reasoned, the military operations had nothing to do with the community onshore―until there was a snag. So, as their news release explains, they normally liaise with local communities they will be approaching, but since they had not planned to go to Jackhead, they didn’t do that. Until they were in serious trouble. Hence, the military trucks on the Jackhead road and entering the community. But they did ask when it happened, apparently, since it was an emergency. 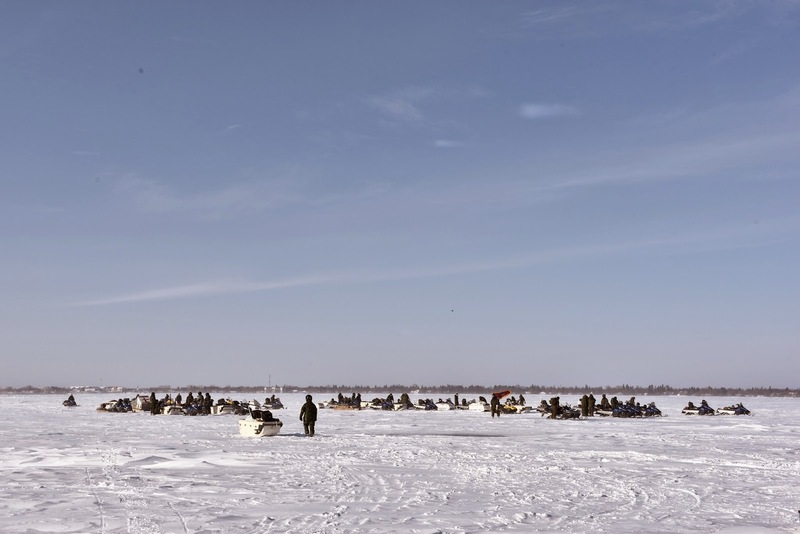 As for the stories of UFOs over the lake and Jackhead on February 22, the last day of the military exercise, I had thought that this could have been from the wrap-up of the operations at Gimli, perhaps flying past Jackhead. So it wasn’t them, if anything was seen at all. Why am I doubting the reports of UFO activity? Because the reports of UFOs seen may be themselves hoaxes. 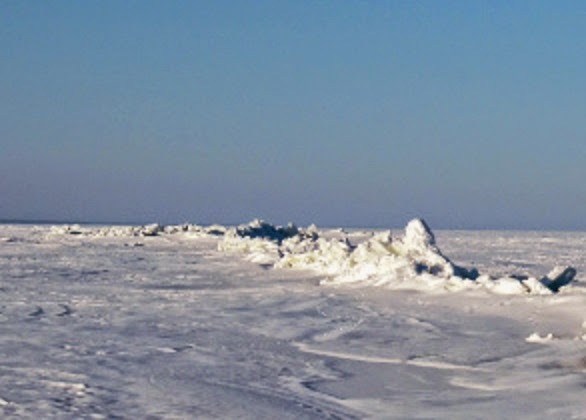 And sure enough, if you compare the photo of broken ice on the lake with the accompanying “crashed UFO” that has been circulating, with the photo taken by a nature photographer three years ago, they match. 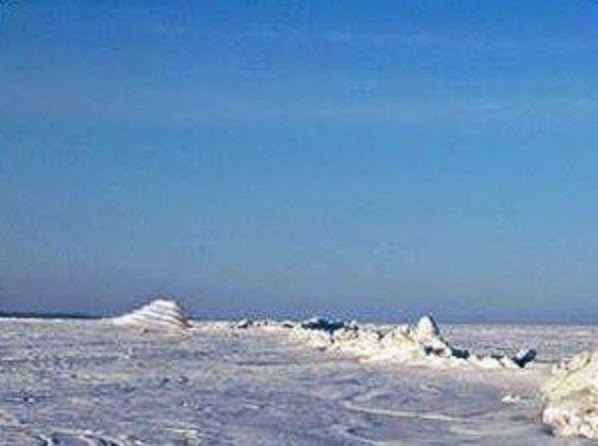 So, whomever uploaded the “UFO crash” photo deliberately extended the hoax by photoshopping a "stepped pyramid" spacecraft into the original photo. Go ahead, take some time to play with the images and line them up. I'll wait. And here's the "artists' conception" of the crashed spacecraft. Okay, since some of the verbiage regarding witnesses seeing UFOs and being evacuated and told not to say anything, etc., was in accompaniment of the hoax UFO crash photo, I wonder if any of it is true. In summary: there was no UFO crash. There were military exercises. 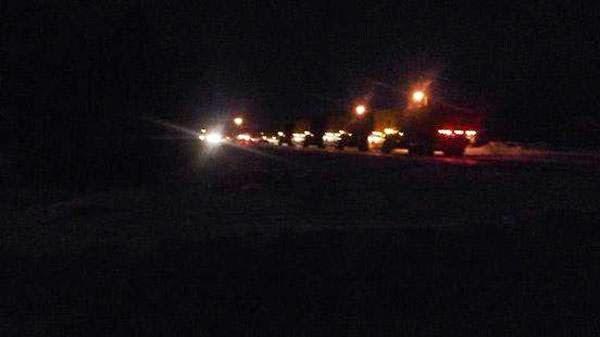 No one on Jackhead was carted off or anything for taking photos of a crash that didn't occur. It's all a series of fabrications.